Since we launched our XOData online tool to enable effective visualization and exploration of OData APIs - we received a few requests to enable access to OData services that require authentication or only accessible locally. ( e.g. on workstation or within Intranet over VPN ). Please see XOData Product Page for Details . XOData Chrome-App is now available in place of online version. New version of XOData is now available at XOData Connect with several improvements along with the connection/authentication option enabled - so now there is a way to access and explore any OData service from XOData - even if it's local and/or requires user/password. Just to add that most of the details given in the post at OData.org for initial XOData version are still relevant and I’ve given some steps below to get you started on new version. To clarify - if the service, you want to explore, is accessible over internet and does not require authentication then obviously it will work without any connection. Also, if you can download service metadata XML document from your OData Server then you can always use the "file upload" access option for *only* visualization purpose. If you need to access local or VPN accessible OData service or a service that requires user/password then please select the connection option as below on “Connection” tab: With this option, any information exchange will be between your Browser and the Service Provider System - hence there won't be any issue related to data-privacy.In fact, if your service is local and does not require Internet connection to access it - then you can even close your WI-FI/Internet connection once you are already on the XOData starting page - and it will still work - even while your workstation is not connected to internet. Please note that Proxy based connection options will also work for *Internet*-accessible Services but those options are not recommended due to privacy reasons as you are providing username / password to access your OData service and it will be forwarded through Proxy. Just to add that, browser settings/proxy etc. won't be required if this tool is installed on premise at a server within same domain as that of the service provider system. Please contact us, if you are interested. Now if you'll launch Chrome through this shortcut, it should start with following screen : And you can start exploring your OData services on http://pragmatiqa.com/xodata by selecting the above mentioned option on Connection Tab. Once connection option is selected then please choose the access option from top menu as “Metadata URL”, enter the metadata URL and press “Show Graph” button - it should now ask for Service’s user/password in a pop-up, coming directly from the service provider’s server. Please enter the user / password for the service URL and then it should show you the entity diagram, prepared from service metadata document. Further, you can explore the service on Query Builder tab. 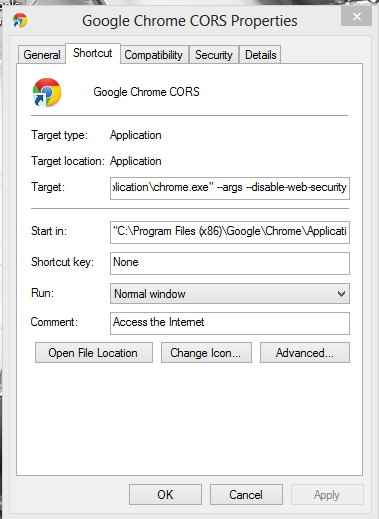 If using Chrome-App, just provide the user/password on connection tab and follow the guidelines given in the tool itself. Metadata URL is https://sfsfbizxtrial.hana.ondemand.com/odata/v2/$metadata but you will need to request for HANA on demand's user/password as per the document on SCN . This service is huge ( 248 entities 900+ relations ). I’ve made some amendments/strategy to handle it for visualization/exploration purpose – so that it won’t show more than 25 entities at a time and then you can use the "Filter" feature to focus on specific entity and its relations. OK, I am not very proud of having to write a document or a blog post either - just to explain how to use this tool. We'll improve it further so it won't require a separate help document. But in the meantime, if you need any help - please drop me a note ( ram at pragmatiqa.com ). Also any feedback will be received with gratitude. A few words of Thanks here ....and to the guys who run OData.org - for allowing me to make a blog post about XOData there and adding it to the list of available OData tools.